As we know travelling not only relaxes our mind but also our souls. But what if we are tight on our schedule and do not have enough days in our hand to plan a trip especially planning an international vacation. If this is what have been bothering you, then this blog will help you pick the best international destination that would be perfect for planning a short holiday with your friends and family. Also winter season being the time of the festivities make a good time to plan a holiday with either friends, family or even solo. So if you are planning to travel to any of the foreign destination for like 3-4 days then you are at the right place. So without taking much of your time, let’s get into it. How about planning a short vacation to a destination which offers picturesque scenic beauty that complements well with the azure water and numerous adventure activities? Or in other words we can even say to ditch the ordinary and spend some time on a secluded island. Yes, Thailand is an ideal tourist destination which you can plan if you don’t have enough time and looking for a budget destination that can be done in 3-4 days. All the more, if you happen to visit Thailand during your Christmas or New Year breaks it is surely going to be pure fun, sun and relaxing. Taking a walk in the cities, you would witness how the malls and streets are lit up with the lights and decorations that recreates the magic of Christmas in different ways. Places to Visit in Thailand: Chiang Mai, Pattaya, Bangkok, Krabi and Phuket. Yet another short getaway from India that can be planned when looking for overseas tour. Yes, Vietnam which is popular for its natural beauty and scenic vistas, is sure to make your vacation with family or friends a memorable one to help you cherish it for the lifetime. Although a trip to Vietnam can be planned at any time of the year but if you happen to visit during the Christmas you can get the chance to see how the Christmas eve is marketed by the midnight mass, plays are performed by the children outside the church. Also, you can shop a lot from the Christmas Markets. Other than this, you would be lucky enough to witness the floating candles that are released on the banks of the river which appears to be a treat to the eyes and soul. In other words, a trip to Vietnam would take you to the natural beauty, rich heritage, ancient architecture and vibrant culture of the city. Places to Visit in Vietnam: Hanoi, Moc Chau plateau, Hoi An and Mui Ne. Yet another budget trip from India that can be covered within 3-4 days, China would take you to the land of mysteries and beyond. Visiting the country, you would witness the deep-rooted culture, classic cuisine, kung fu, pagodas, paintings, fine silk, ming vases, tea and more. One of the best travel destinations from India that can be visited at anytime of the year, which when planned to visit during the Christmas Festival Season or New Year will give you a unique experience other than the Christmas bells, Santa Claus or the same Christmas decoration, heading to China during this festive season is sure to give you an opportunity to witness Christmas being celebrated more than like of a traditional way. .In the sense, visiting China you will notice how Christmas Eve is celebrated with a different approach. So if you are up to travel to China, then heading towards Shanghai where Christmas is popular would be great city to visit. Make sure you do not miss out visiting the River Mall where you can buy a variety of stuff and eat delicious food, witness the Santa Run where people are seen in wearing the Santa costume. Also visit the Shenghua Mansion on the Hankou Road where you can get indulged in the Hawaii Style Christmas Party. Places to Visit in China: Hong Kong, Shanghai, Taiwan and Macao. Looking for a short luxury getaway from India? Then it has to be Dubai. Yes, Dubai with its high-rise buildings, flaunting infrastructure amid the extensive sand dunes is going to provide you a luxury holiday experience like never before. Apart from this the city will dazzle you with its shopping malls, restaurants and Emirati culture. As winter season between November and February is considered to be the best time to plan your holiday from India, you can make the most out of it as New Year is celebrated with great fun here. In the sense, you would witness and get indulged in the mesmerizing fireworks and overall pomp and shows is sure to give you an experience for lifetime. Dubai having a lot to offer to the tourists has now made it the most happening year-end destination in the world. Places to Visit in Dubai: Burj Khalifa, Burj Al Arab, Jumeirah Beach, Dubai Mall, Magnificent Sheikh Saeed Maktoum House, Dubai Creek, Dubai Aquarium, Ibn Battuta Mall. Planning a holiday for like 3-4 days, a trip to Singapore would be best. Yes, holidaying in Singapore will take you to a progressive island where you can witness the vibrant fusion of cultures, ethnicity, communities and most importantly the enthusiastic people. Not just this, a trip to Singapore would become a memorable one as it would be full of excitement, surprises and charm that would make you scream with joy. Also, you would be lucky enough if you plan your trip to Singapore during the Christmas and New Year as there is a grand celebration in the country that gives the locals as well as the tourists a lot of things to do that they love including food and shopping. Don’t miss out on visiting the Orchard Road where you would get the opportunity to soak yourself in the joyous mood along with the Disney-them on the festival season. Places to Visit in Singapore: Sentosa, Jurong East, Yishun, Bukit Panjang and more. If spending some time amid the mountains, monasteries and magic is what you are planning for while going on an International trip from India, then Bhutan will help you get a holiday experience that will rejuvenate your mind and soul. The country having a lot to offer to the tourists, will give you the experience of not only the taste of Buddhist culture but will take you to the stunning and mesmerising natural sceneries. So plan your vacation to this amazing short getaway from India, as Bhutan will bring you closer to the countless monasteries, surreal architecture, primeval forests, indigenous flora and fauna, high-altitude trekking trails, composed environment a lot more. All the more coming across the people of Bhutan you can see how welcoming and peace loving they are. There is something in the air of Bhutan that is sure to fill your heart with happiness. Places to Visit in Bhutan: Paro, Thimphu and Punakha. The country is listed among the best destinations from India which is preferred by most of the people when it comes to planning a short international trip. Being a home to thousands of breathtaking islands in the Southeast Asia, Indonesia is considered to be the largest island country. A holiday travel to Indonesia will take you to the pristine beaches and verdant jungles and more. So if you are up to lose yourself amid the natural beauty by taking break from the everyday life, the head to Indonesia which is rich in culture and would let you come across various tribes that live in harmony and peace. Although planning your trip during Christmas and New Year Vacation isn’t going to offer you much but you can witness certain things that would be more than just the ordinary. In the sense, travelling to Bali Island, you would come across how the Christmas tree are made from the chicken feathers. Other than this, there are some trees that are even made of chocolates. The uniqueness that comes along with these trees makes Christmas special in the country. Places to Visit in Indonesia: Bali, Ubud, Jakarta, Lombok, Sumbawa Island and Central Java. How about a short trip to Malaysia? Yes, out of other tourism places Malaysia is also a good to go country to plan your short vacation with friends, family or even solo. Stepping into the country you will get welcomed by the modern towns, colonial buildings, tea plantations and also widespread jungles. The not to forget thing when in Malaysia is the scrumptious food. You can plan your trip to Malaysia at any time of the year, but as it is always good to make good memories, planning a visit during the Christmas and New Year will give you the opportunity to feel the festive spirit all around the city. Witness the people wearing the signature red cap of St Nicholas and get indulged with them grooving to the beat of Christmas songs. In short, Malaysia is a perfect destination to travel during Christmas and step into the New Year 2018. Places to Visit in Malaysia: Kuala Lumpur, George Town, Kota Kinabalu, Malacca City, Kuching, Penang Island. Travel to the budget friendly destination from India that will take you to the land of white sand beaches, hearing the gushing sound of the crystal-clear water where you can simply relax leaving behind the daily humdrum of life. 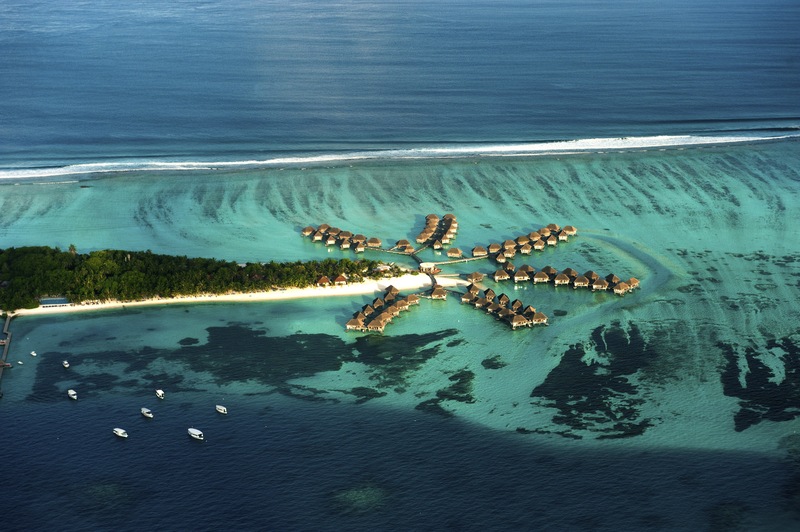 So plan your short vacation and step into Maldives to get your body, mind and soul rejuvenated. Although it is a year-round destination but if you are looking for places for holidaying in New Year then Maldives should be considered which is surely going to help you get started with your new year in a calm and peaceful environment. What could be more relaxing than laying down leisurely on the sun-kissed beaches and palm-fringed islands. 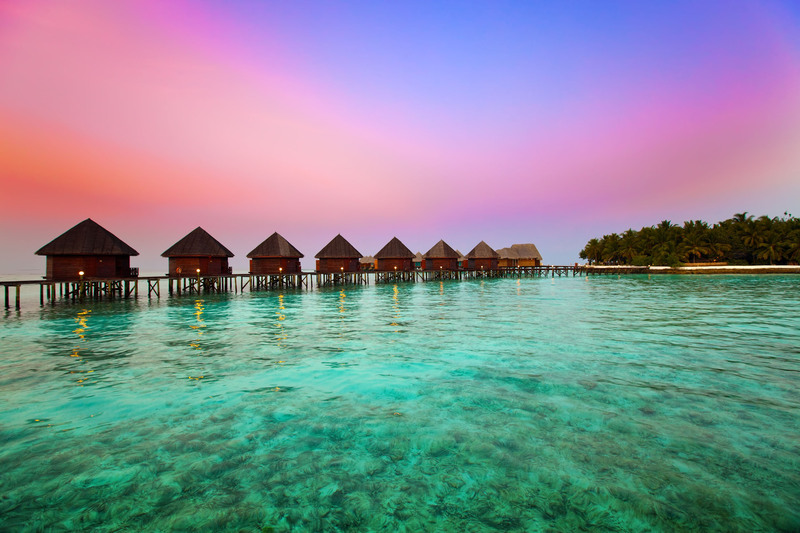 If you want to experience it then head to Maldives to cherish it for the lifetime. Places to Visit in Maldives: COMO Cocoa Island, Baros Island, Emboodhu Finolhu Island, Mihiri Island, Male Island, Rangali Island. Even though Sri Lanka is a year-round destination but planning to visit during the Christmas or New Year is sure to give you a magical experience which shouldn’t be missed. Get ready to travel to our neighbour next door. As Christmas involves lots of delicacies and being in Sri Lanka you can make the most out of the festival by being at the fabulous excursion to Matale where you can get indulged in a 25-course Sri Lankan feast. The lunch takes place amid the picturesque hilltop batik workshop Artist’s House where you can take delight in eating and enjoy seeing the batik artists at work. So give yourself a chance to try out the Sri Lankan food with 25 authentic dishes. Also, if you love spicy food than you are good to go to the feast as the food served there would be spicier than the usual Christmas fare. Places to Visit in Sri Lanka: Colombo, Matara, Kandy, Nuwara Eliya, Bentota, Matale, Hikkaduwa, Horton Plains, and Galle. I hope your search for the short international holiday destination from India ends here. So where have you decided to go? If there is something that you need assistance on like holiday package or getting is customized as per your need and requirement, Tour My India is here to help you. We are just a call away (+919212553108). Or you can even drop us an email at info@tourmyindia.com. Also, if we have missed any of the destinations then please let us know in the comment section below.